This is a paper I wrote for my class on modern evangelicalism. I hope it is a blessing to others – it took me nearly a year to write! A paper parallel to this one is The Man Who Wrote Liberalism and Christianity. As I researched, I wrote two posts which fed into this paper: “Deconstructing the Modern Man Part 1: The Enlightenment,” “Deconstructing the Modern Man Part 2: Immanuel Kant.” I would recommend these to you. The purpose of this paper is to produce an answer to the question, “What is Liberalism.” A short answer to this question could be, “Liberalism is Christianity redacted to fit within the Modernistic worldview.” Obviously, this is one definition that begs another. Crudely put, Modernity is a worldview which insists on applying the assumptions and rules necessary to the operation of the scientific method to all aspects of life, including theology, psychology, and the like. More precisely, Modernity is a worldview that holds the antonymous self as the beginning of knowledge and the final arbiter of truth. Modernity was born in the Enlightenment and bred in Romanticism, and components from each era continue to exert competing and complementary influences within the movement to this day. This paper will begin by providing a survey of the events which lead up the Enlightenment, then provide a brief topical sketch of the major theological tenets championed by the main Enlightenment thinkers. It will dwell extensively on the beliefs of the quintessential Enlightenment man and grand-father of Liberalism, Immanuel Kant. This paper will touch briefly on the Romantic era and will conclude with Friedrich Schleiermacher, who synthesized Enlightenment and Romantic elements with Kantian theology to provide the foundations of what is now known as “Liberal” or “Modern” Christianity. The separate yet overlapping historical phenomenon of the Renaissance (1300-1600), the Reformation (1517-1648) and the beginnings of the Scientific Revolution (1500’s-present) could be collectively tied together under the heading of “the ad fontez revolution.” This is possible since the uniting factor in all of these great events was a rejection of the institutions and authorities of the recent past in preferment of the great works of the ancient past, specifically, the Classics of ancient Greece, and the Bible. The decisive event of Modernity was the perceived failure of both the Reformation and Renaissance and the perceived need to recast both of them in light of the Scientific Revolution. Carried on the successes of the past, the Renaissance was a time of many great accomplishments in art, science and technology. Built into the very success of the Renaissance, however, was a serious limiting factor. The case which became emblematic of this problem was the suppression of the heliocentric cosmology (now known as the “Copernican Revolution” in science) by the Roman Catholic Church – whose institutions and doctrines had become very much implicated in Greek thought by this time and thus found difficulty in parting with the Ptolemaic cosmology. Progress, it seemed, could no longer be made by looking backwards, or by trusting the great institutions of the past: it was time for new sources of authority. Growing out of the Renaissance, the Reformation cry of soli scripturi had promised a new birth of Christian liberty. The actual result however, was a renewed fusion of church and state controlled by a rapidly hardening theology (pejoratively termed “Protestant Scholasticism”), which splintered Europe along religious lines and led to more than a century of bloody conflict. Because the Reformers were unable to grasp the Christian concept of toleration, a pagan concept was substituted. With the signing of the Peace of Westphalia (1648), the Western mind became convinced of: 1) the relative unimportance of theology to personal life, 2) the personal nature of religious convictions, 3) a preference for pragmatism, rather than absolute truth in religion. The one great accomplishment of the ad fontez revolution that did not tarnish, but seemed to shine brighter with every passing decade, was the Scientific Revolution. In the very generation when the institutions of both the Reformation and Renaissance were faltering, the Scientific Revolution gave birth to one of her most luminous stars. 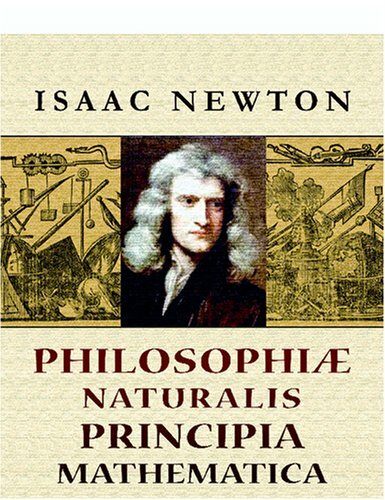 Born in 1643, Isaac Newton’s Principia Mathematica (1687) would prove to be arguably the most important book ever written in science. Explaining all of the world through a series of simple mathematical formulae, it seemed to lay the secrets of the cosmos bare to the scrutiny of the human mind. In concert with the prevailing mood of his era, Rene Descartes felt that a new foundation was needed for philosophy. Descartes rejected the traditional Christian perspective that right knowledge begins with a right knowledge of self and of God, inseparably intertwined. Because he wanted to keep epistemology free of Biblical and Church authority, Descartes developed his great maxim: cogito ergo sum (“I think/doubt, therefore I am”). Descartes made himself (that is, the thinking person) the sole foundation for right knowledge. Although the details of Descartes’ system have been endlessly rejected, debated and recast, the core belief that the autonomous human mind is to form the new foundation for philosophy (“Cartesianism”) has been almost universally accepted and should be understood as the cornerstone of Modernity. After Descartes, philosophy was split into two schools – rationalism and empiricism that, by the mid 1700’s, had each degraded into a reduction ad absurdum. On the one hand, rationalists Baruch Spinoza (1632-1677) and Gottfied Leibniz (1646-1716) pursued truth exclusively from logical deductions within the human mind, and thus had no clear rationale for studying the natural world in science. On the other hand, empiricists John Locke (1632-1704) George Berkeley (1685-1753) and David Hume (1711-1776) found that in pursuing truth only by studying the natural world, they were left with an endless collage of separate, disjointed observations of the natural world, with no organizing principle to bind them together. Ironically, as the Enlightenment reached its zenith, science seemed imperiled by Cartesian philosophy. One cannot understate the importance of Principalia Mathematica in the development of the Enlightenment mind. In contrast to the “superstitious” view, which held that the physical world was controlled by spiritual forces, the Newtonian vision of the world was a cosmos dominated by mathematical laws. The Enlightenment Rationalists, then, sought a vision of God that fit within this new cosmology. In France, it became popular among the Philosophes to become atheistic: but Deism was to have a longer and broader influence. Not technically a Deist, John Locke (1632-1704) began the move in that direction by exalting human rationality over Scriptural authority. Locke’s “Rational Supernaturalism” was developed into what is today known as “Deism” by Lord Edward Herbert of Cherburn (1583-1648), who had almost no use for Scriptures. Likely the most famous of the Deists was Francois-Marie Arouet (1694-1778) – better known by the penname of “Voltaire.” He envisioned God as the “great watch-maker,” who set up the cosmos, wound it up, then removed himself far from it as it whirred and clicked on its way according to precise laws. Within such a world, the intrusion of “miracles” (that is, the actions of a transcendent God breaking the very laws of nature which He had ordained) began to seen absurd, against the nature of God, and impossible by definition. David Hume’s work “On Miracles” convinced the Modern mind that if God exists, He does not intrude into the material world. There is within Christianity a built-in resistance to humanism. This is the belief in original sin, or the belief that humans are born sinful and naturally defective in thought, action and soul. It is therefore not surprising that very early in the Enlightenment era – influenced in large part by John Locke’s 1690 “Essays Concerning Human Understanding” – the doctrine of original sin was discarded. Humans were not, after all, sinful at birth but merely tabula rasa or “blank slates” upon which the influences and realities of the world impressed either positive or negative imprints. This concept was taken up by other Enlightenment thinkers who romanticized nature, and primitive man and thus saw evil as coming from without, in the unnatural imposition of institutions such as the church and the monarchy onto nature. As a book rife with miracles, as well as a book in possession of and (according to the Catholic view) produced by the Church, the Bible naturally came under attack with the onset of Enlightenment thinking. Desiderius Erasmus 1466-1536) may have laid the foundation for Modern Hermeneutics, but it was Baruch Spinoza (1632-1677) and later Jean Astruc (1684-1766) who really began the discipline of higher criticism by approaching the Bible like any other human writing. Astruc’s controversial discovery that the Pentateuch was written by several authors seemed to substantiate his presupposition that the Bible was merely a human book. With the introduction of human authorship into hermeneutics, the possibility of the miraculous nature of its authorship – already a concept unfavorable to the Modern mind – seemed untenable. The Bible’s antiquity also seemed to bode poorly for it. Gotthold Lessing (1729-1781) pounded the final nail into the coffin of traditional hermeneutics in what has become known as “Lessing’s Ugly Ditch.” Lessing explained that there are two categories of knowledge: the necessary objects of reason (e.g. 2+2=4) and the incidental objects of history (e.g. Napoleon was defeated at Waterloo). Between these two categories of knowledge there is an “ugly ditch.” Historic Christianity was in error by trying to found necessary objects of reason (e.g. man is sinful, salvation is in Christ alone, etc.) on historical events (e.g. the fall, the incarnation, etc.). With the rejection of miracles and the questioning of the bible, it is not surprising that the entrance of the Son of God into human history, to make atonement for sin also came under attack. The event was questioned by Enlightenement thinkers first because their high view of man made it seem uneccessary, and second because their strict sense of justice and personal responsibility made it seem illogical and unethical. Jesus was not rejected, however: only, it was His life and teaching which were emphasized, in order to give practical instruction to the Modern man on moral living. The virgin birth, miraculous resurrection and miracles were made secondary. Probably the most famous example of this is Thomas Jefferson’s “The Life and Morals of Jesus of Nazareth.” Here the miraculous is completely edited out of Jesus’ life, leaving only a collage of moral instructions. Steadily, the Enlightenment Rationalists emptied the Western mind of the Trinity, original sin, miracles, the atonement and an inspired canon, and any other doctrines that offended their philosophical allegiances. A final doctrine – that is, the originality of Christianity – seemed thus untenable, since: 1) the vaguely ethical religion that now remained was not much different than other religions, and 2) it made no logical sense for God to reject those who had no chance to hear the gospel message. Thus, the belief that Jesus alone is the “way truth and life” for humanity (John 14:6) was also rejected by the Enlightenment Rationalists. The “Copernican Revolution” of Immanuel Kant (1724-1804) was to synthesize rationalism and empiricism. Kant agreed with rationalism that certain truths are native within the human mind: his great innovation was to assert that these internal truths subconsciously organize and inform our sensory perception of the world. Thus, it was possible to understand the world, since our minds naturally conform the phenomenal world to our understanding. The great consequence of Kant’s philosophy was the belief that one could only be really sure of those truths that could be reasoned from within one’s mind or perceived in the natural world. Kant’s system thus established agnosticism towards the spiritual world as a maxim of the thinking person. Upon writing his magnum opus, “Critique of Pure Reason,” Kant supposedly came home to find his manservant in tears. When queried as to the source of his grief, the servant answered, “They tell me you have taken away my God!” Disturbed by this statement, Kant supposedly set about writing Critique of Practical Reason to remedy this situation. Kant decided that although his previous work had provided a good summary of “what is,” it had said nothing about “what ought to be:” it was to this end that he turned in Critique of Practical Reason. In point of fact every human being has a consciousness of morality which Kant defines as the sort of behavior which one could wish would be a universal maxim. Morality is illogical, however, without, 1) a moral lawgiver, and 2) a post-death judge, who will provide eternal rewards/punishments for moral behavior in life. Thus, Kant carved out room for religion: however, this was no Christian religion, but a restatement of Enlightenment Deism. Kant applauded himself on thus making room for religion, but found that traditional Christianity would not fit within the space he had allotted to her: thus, he wrote the aptly named “Religion Within the Limits of Reason Alone” to redact Christianity to fit within his system. The title of Kant’s first book was a great shock to Enlightenment thought: was Kant really going to overturn Locke’s tabula rasa for the older doctrine of “original sin?” Upon closer examination, however, Kant’s ideas here are a restatement of Enlightenment anthropology. Kant set out to answer the fundamental question of, “Why is it that the good that I want, I do not do, but I practice the very evil that I do not want?” (Rom. 7:19, paraphrased from NASB). First, he divided the human psyche into three compartments. The villa is the moral law or conscience. On this, Kant adopts the Christian view that humanity has such an internal witness of morality (Rom. 2:14-16), but rejects the notion that this witness can be tarnished (1 Tim. 4:2). For Kant, the conscience of every man points continually “true-north.” The second compartment of the psyche is the vilcre – that is, the will, or the choosing agent of the person – which (in rejection of Biblical teaching, e.g. Rom. 6, 2 Pet. 2:19) is always completely free to choose from all available options. It is in the final aspect of humanity – the gesinna, or “disposition” – that the real root of sin resides. The disposition of a person could be tarnished by a host of factors including sensual temptations, poor examples, past history and the like. This corruption, however, never overlaps into other areas of one’s psyche. Kant looked to the story of original sin in Genesis 3 not as a historic event that transmitted sin to all humanity, but as a metaphor or myth that was universally true for all humanity. In the same way that Adam was tempted by his tarnished disposition (or gesinna), he also had a sense of what was right and wrong (using his villa), and could just as easily have chosen not to sin as to sin as to sin (using his vilcre). In the same way, we too, in every occasion of life, should choose right instead of wrong, in order to impress the great Lawgiver and Judge. Because Jesus’ resurrection and ascension were only attended by a few witnesses, and also because the notion of an atoning sacrifice was offensive to the Enlightenment mind, Kant declared that these events were not to be the focus of Christology. Further, Kant cast doubt on the factuality of the entire life of Christ, believing that Jesus was more of a myth than a reality. As a myth, however, Kant felt that the Jesus narrative could be far more useful to humanity. As the sinless man, Jesus was able to teach humanity how to live morally in order to attain the status of favor with God that Jesus enjoyed. Thus, Jesus became the positive archetype, to be favored and followed over the negative archetype of Adam. Kant believed that church was important. If people were to live moral lives, they should meet together with other moral people and be encouraged and given practical tips on morality. Thus, church was an integral part of Kant’s new religion. It was man’s own moral consciousness, however, not the morality of the Bible that was to be followed. When the Bible seemed to be immoral (e.g. Psalm 137:9), the Bible should be modified to fit within man-made morality. Kant divided religion into two categories. On the one hand, there were religions of magic or “priestcraft” whereby humans attempted to manipulate God to do their bidding. On the other, there were religions of morality, whereby humans attempted to please God by means of their morality. In this book, Kant bitterly attacked all religions that did not fit within his moralistic/Deistic framework. The practical upshot of Kant’s system is that much of what had been previously valued as a part of Christianity had to go: specifically, anything that was not directly related to reinforcing morality within people was superfluous. He called these aspects “pseudo-service” and noted especially singing or chanting worship to God, offering penance or incense, etc. : this was merely man trying to twist the arm of God. In “true religion,” man does not really need God’s help, but tries to make one’s self worthy of His favor through sustained moral effort. In conclusion, Kant makes mention of what one should do with the fact that they have sinned often and at times grievously against the moral law. Since the historic atonement for sin has been removed, Kant’s only suggestion is that one must pour one’s self that much more passionately into a moral life, in order to become one’s own atonement for sin. Because of the morality of one’s later life, it would be unethical for God to judge such a person for their earlier sins. Dr. Andrew W. Hoeffer says, “If the Enlightenment motto could be understood as ‘I think therefore I am,’ the Romantic motto could be understood as ‘I feel therefore I am.” Occuring in history as two consecutive movements, Romanticism and Enlightenment are really two opposing sides of the same coin of humanism, or Modernity. Because Modernity is basically a worldview which worships the human self, it is natural that the distinctions which create conflict in the human person – that is, between head and heart, between language/art and math/logic, between the left and right-brained tendencies – should also characterize such conflicts and revolutions within the society built upon them. It is also natural that a worldview built upon humanism should be characterized by great waves optimism, then despair, from which new optimism arises. Because the Romantic Era was really a continuation of the general mood of Modernity that was begun in the Enlightenment, it is not surprising that the Romantics adopted virtually all of the major tenets of Enlightenment Rationalism – only applying these principles in very different ways. The one great exception to this was pantheism. In contrast to the Deism of the Enlightenment (which pushed God far enough away that He didn’t interfere with humanity), the pantheism of Jean-Jacques Jacques Rousseau (1712-1778) and William Wordsworth (1770-1850) – among others – came pulled God so close that He actually participated in human actions, or even was created by them. This pantheistic notion was eventually taken up by Georg Wilhelm Friedrich Hegel (1770-1831), who envisioned God as the sum and total of the upward quest of humanity to self-actualize in the evolutionary process of thesis-antithesis-synthesis. 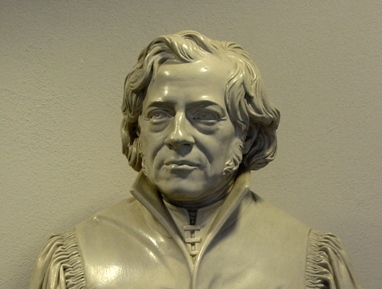 The genius of Friedrich Schliermacher (1768-1834) was his ability to achieve erudition in a wide variety of subjects – including New Testament interpretation/exegesis/hermeneutics, ethics, philosophy, history, politics, psychology, etc. – and to synthesize apparently contradictory positions under a perceived higher unity. Schleiermacher eventually completed an eleven-volume systematic theology in which he received and modified Enlightenment and Kantian theology under the distinctively Romantic notion that every doctrine of the Christian faith was to be redefined around the religious self-consciousness, or “the feeling of absolute dependence” one feels in the presence of God. Schleiermacher’s system was to hold precedence for over a century. During this time, “Protestant Liberalism” was further developed especially in Germany in the Ninteenth century by such thinkers as: Albrecht Ritschl (1822-1889), who emphasized the ethical example of Jesus, the “brotherhood of man” and the “fatherhood of God”; Adalf von Harnack (1851-1930), who utilized Hegelianism to produce the evolutionary model for history still current today; Walter Rauschenbusch (1861-1918), who emphasized the “social-gospel,” and Rudolf Boltmann (1884-1976) who sought to “demythologize” the gospel accounts. Karl Barth (1886-1968) and Reinhold Niebuhr’s (1892-1971) attempt to critique and overturn Schliermacher’s system split Classical Liberalism into neo-Liberalism and neo-Orthodoxy – movements which are still active today. Brian MacLaren (1956-), Rob Bell (1970-) and others draw heavily on Liberal roots for the formation of “post-modern” or “Emergent” Christianity. One explanation of Liberalism is that it is a contemporary manifestation of the ancient Christian faith; another is that it is a loosening or slackening of that faith. Both of these illustrations are misleading, however, since Liberalism is a set of beliefs which differs from and rejects Christian doctrine at the most fundamental level. A helpful metaphor for Liberalism is to see Kant as the innkeeper who lays historic Christianity on the “Bed of Precrustes” of Enlightenment Rationalism. This deceased, fragmented corpse he then passed on to Schleiermacher who – with the help of Romanticism – revivified into the movement now known as Liberalism. The result is not really Christianity, but a non-redemptive, naturalistic, post-Christian religion tailor-made to fit within Modernity. Centuries earlier, Martin Luther had rightly said that there are only two types of religion in the world: religions of legalism, and the one religion of grace. In emptying Christianity of all things essential to the gospel, Liberalism has thus taken away the gospel core of grace from Christianity, and returned it to the pre-Christian state of vague spirituality and ethics which was already in the world (especially in ancient Greece) before Christianity came on the scene. Calhoun, Dr. David. Reformation and Modern Church History. Covenant Theological Seminary. covenantseminary.edu.1726917598.01726917605. Internet. Accessed 15 April 2010. Calvin, John. Institutes of the Christian Religion. Peabody, MA: Hendrickson Publishers. 2008.
of Interdisciplinary History, Vol. 10. No. 3. (Winter, 1993). 639-660. Frank, A. James III. History of Christianity II. Reformed Theological Seminary Virtual Campus. yale.edu.2414602410.02414602418. Internet. Accessed 15 April 2010. Frame, John M. History of Philosophy and Christian Thought. Reformed Theological Seminary. 14 September 2009. [class lectures on-line]. Available from http://deimos3.apple.com/ WebObjects/Core.woa/Feed/rts-public.1379337550.02487261124. Internet. Accessed. 9 November 2009. Geisler, Norman L. “Beware of Philosophy: A Warning to Biblical Scholars.” Presidential address presented to the Evangelial Theological Society. 19 November 1998. Published in Christian Apologetics Journal, Vol 2, no. 1, Matthews, NC: Southern Evangelical Seminary. 1999. Hensley, Jeffrey. Liberal Protestantism. In The Encyclopedia of Protestantism. Edited by Hans J.
Hillerbrand. New York: Routledge Press. 2004. Walter A. Elwell. Grand Rapids, MI: Paternoster Press. 2001. Knight, Kevin. Liberalism. In The Catholic Encyclopedia. New Advent.org [encyclopedia online]. Available from http://www.newadvent.org. 7 January 2002. Internet. Accessed 12 April 2010. Lessing, Gotthold. Lessing’s Theological Writings. trans. Henry Chadwick. London: A. & C.
Manning, David John. Liberalism. London, ON: Dent. 1971. 319. Internet. Accessed 26 June 2010.
lectures online]. Available from http://deimos3.apple.com/WebObjects/Core.woa/ Feed/yale.edu.2414602410.02414602418. Internet. Accessed 20 April 2010. /books?id= Tm0FAAAAQAAJ&pg=PA1 and http://books.google.com/books?id= 6EqxPav3vIsC&pg=PA1. Internet. Accessed 28 June 2010.
lectures on-line]. Available from http://deimos3.apple.com/WebObjects/Core.woa/Feed/ itunes.open.ac.uk.2684291448.02681386373. Internet. Accessed. 11 May 2010.
by Lindsay Jones. Detroit: Macmillan Reference. 2005. This illustration provided by Dr. David Calhoun, Reformation and Modern Church History, Covenant Theological Seminary. 25 February 2010. [lectures on-line]. Available from http://deimos3.apple.com/WebObjects /Core.woa/Feed/ covenantseminary.edu.1726917598.01726917605. Internet. Accessed 15 April 2010. According to Romans 14, the Christian answer for variations in opinion is that each person should be “fully convinced in their own mind,” (14:5) and to be diligent in their convictions, as unto God (14:6). Unity is then found in the fact that even very divergent Christian traditions are all expressions of worship to God, and are thus accepted (14:4). By cross-referencing Galatians 1:8 we may see that this does not apply to salvific, or gospel doctrine. Isaac Newton, The Mathematical Principles of Natural Philosophy, trans. John Machin (Oxford Press, 1729) [document online] available from http://books.google.com/books?id= Tm0FAAAAQAAJ&pg=PA1 and http://books.google.com/books?id=6EqxPav3vIsC&pg=PA1. Internet. Accessed 28 June 2010. See for example the first page of John Calvin’s, The Institutes of the Christian Religion (Peabody, MA: Hendrickson Publishers, 2008), 3. Descartes altered his formulation slightly in translation between Latin and his mother-tongue of French. David Hume, An Enquiry Concerning Human Understanding, L. A. Selby Bigge, ed. (Oxford: Clarendon Press, 1902), pp. 114-16. John Locke, “Essay Concerning Human Understanding,” Google Books, [document on-line]. Available from http://books.google.ca/… Accessed 26 May 2010. This concept was popularized as the notion of the “noble savage,” or the idea that a primitive person, living close to nature and free from man-made institutions was more free, holy, etc., than a modern, urbanized individual. Gotthold Lessing, Lessing’s Theological Writings, trans. Henry Chadwick (London: A. & C. Black Ltd., 1956). Cf. Matthew Tindal, Christianity as Old as Creation, 1730, (New York, NY: Thoemmes Continuum Publishers, 1999). In all of the biographies of Kant which I have accessed, this story serves as a bridge between these two works: they all treat this story with some suspicion, however, as to its actual historicity. Factual or not, it provides a good logical bridge between the works. Core.woa/Feed/rts-public.1380058302.01380058304. Internet. Accessed 17 February 2010. In Greek mythology, the “Bed of Precrustes” was a inn’s bed which “magically” fit all travelers by stretching those who were too short, and cutting off those who were too long. This myth invoked by Van Til in Christ and Human Thought, 1902. This point raised by J. Gresham Machen in Christianity and Liberalism, (Grand Rapids, MI: Wm. B. Eerdmans Publishing, 1923), 53. Do you have this in a pdf? yup, sure. See hyperlink in the intro now. Hello, I’m in my first year of theological studies and have found your posts on Kant and Christian Liberalism to be really helpful and (above all) easy to read and understand! Thank you so much. Can’t say how happy I am to hear you say that! Wow – I feel like I just got a paper back with an A+ on it. All my sweat and tears and darks nights of the soul are worth it if the road behind me is just a little easier for folks like you. Thank you SO MUCH for taking the time to tell me you appreciate it! Hey, you might also like the post seas of confusion. Also, check out the new podcast I am advertising. Next week I will be talking about Emergent – which is important if you are in seminary these days. So glad somebody is helped by my stuff!